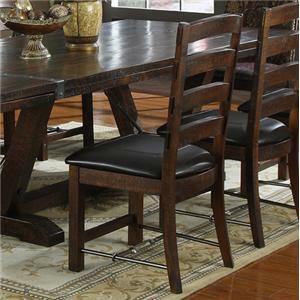 Shown with Victoria Dining Table, Bench, and Server. 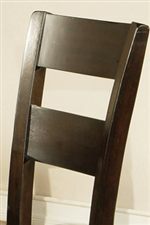 This upholstered dining side chair features a thick slatted ladder back that gracefully slopes to form the chair's hind legs. Straight, tapered front legs and chocolate toned faux leather upholstery give further dimension to this sleek, sophisticated piece. Order with the collection's matching dining table to complete the set (VC400T). 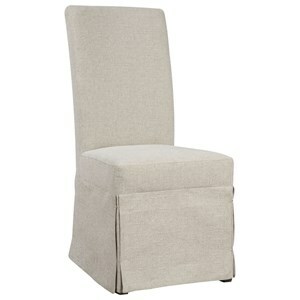 The Victoria Victoria Ladder Back Dining Side Chair by Steve Silver at Northeast Factory Direct in the Cleveland, Eastlake, Westlake, Mentor, Medina, Macedonia, Ohio area. Product availability may vary. Contact us for the most current availability on this product. 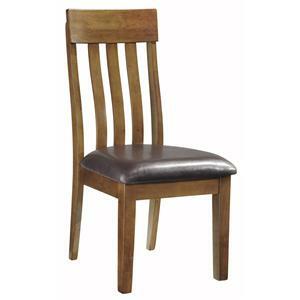 The Victoria Dining Collection includes two dining sets that feature thick ladder slatted chair backs, tapered table and chair legs, butterfly leaf table tops, and faux leather upholstered chair and bench seats. 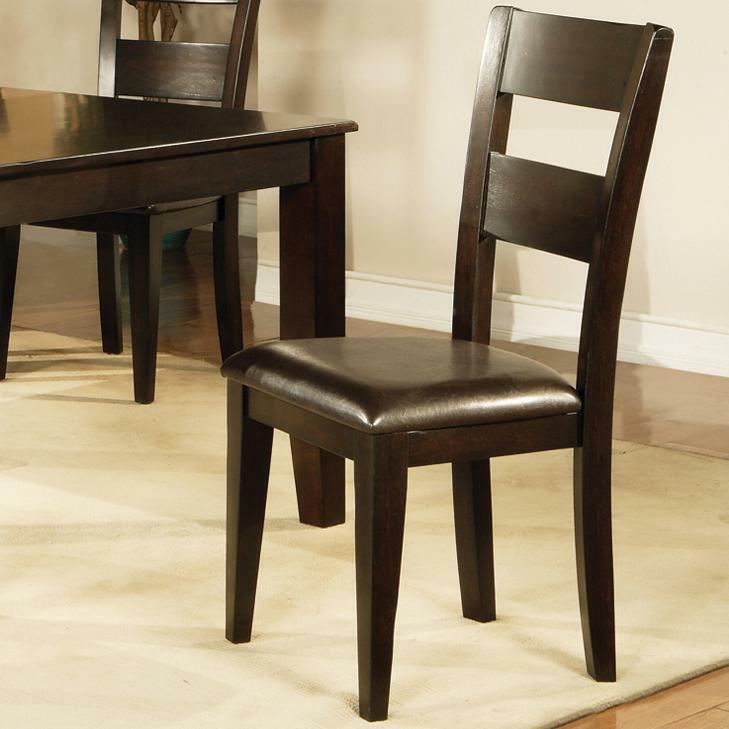 Whether you are in the market for a formal dining set or for a more casual, pub height set, the Victoria Collection has what you are looking for. 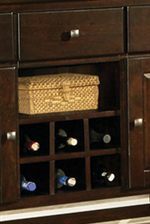 Each set also offers a sideboard with plenty of room for storing utensils and dishware and an open wine rack that displays six bottles. Sit down with your closest friends, pull the cork from the bottle, and let the good times roll. The Victoria collection is a great option if you are looking for Casual furniture in the Cleveland, Eastlake, Westlake, Mentor, Medina, Macedonia, Ohio area. 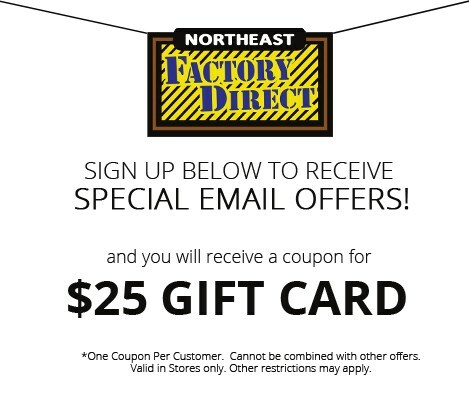 Browse other items in the Victoria collection from Northeast Factory Direct in the Cleveland, Eastlake, Westlake, Mentor, Medina, Macedonia, Ohio area.